Days and dates: All year. 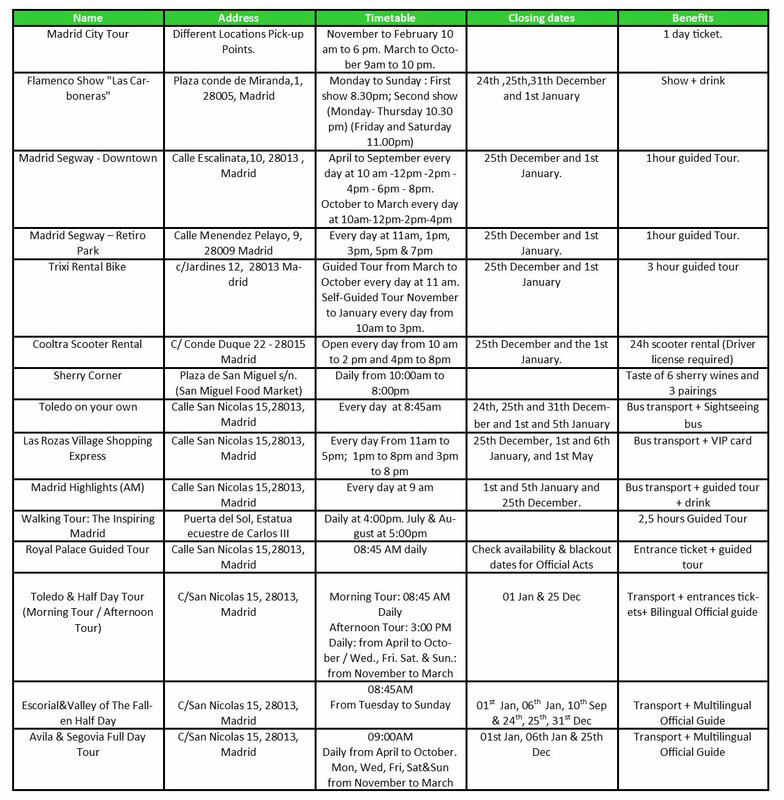 Duration: 7 consecutives days from the card activation date. Departure point: Depending of the activity. Languages: Spanish and English. Conditions: advanced reservations required: 24h. 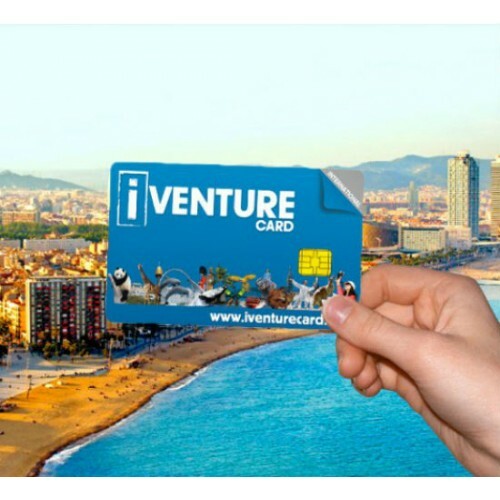 Cancellation fees: Full refund for not issued cards, if cancellations are received at least 48 hours before arrival date. No refund for cards already delivered, cancelled in the 48h prior to the tour or not cancelled. Blackout dates: Depending on the activity. 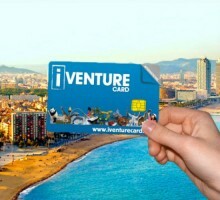 -Madrid Flexi 3 Attractions Pass: To choose from 3 activities from a list of 26. -Madrid Flexi 5 Attractions Pass: To choose from 5 activities from a list of 26. 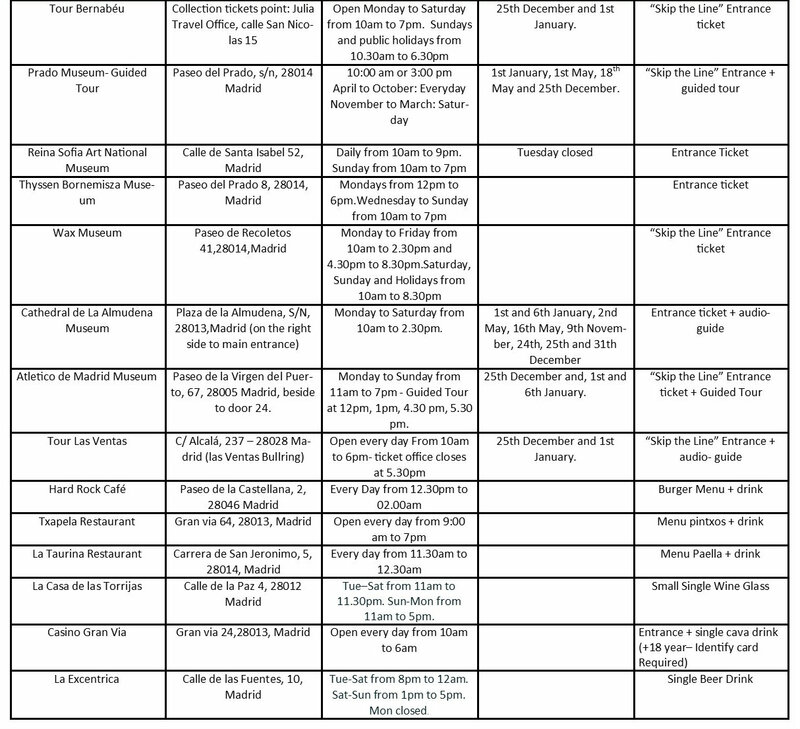 -Madrid Unlimited Attractions Pass: All 26 activities. 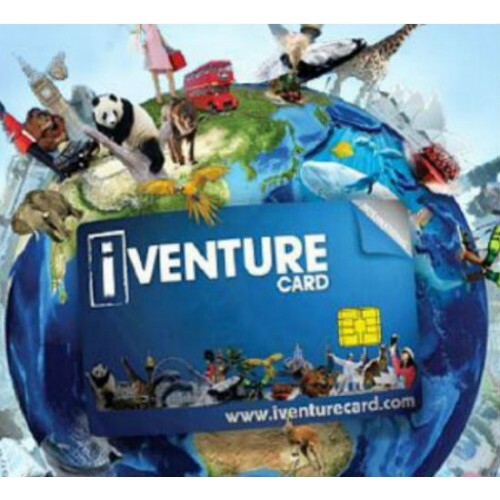 iVenture Madrid Card is a Smart card that includes the main cultural and leisure options, in addition to dining, in Madrid and nearby cities. 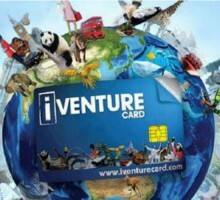 Depending on what card you purchase, you can choose between 3 or 5 activities from a list of 26. Moreover the Unlimited Pass offers you the opportunity to enjoy all of them. All packages include 3 free attractions: a single beer at ‘La Excentrica Bar’, a glass of cava at ‘Casino Gran Via’ and a wine glass at ‘Casa de las Torrijas’. Madrid City Tour: 1 day ticket. Sherry Corner (Mercado San Miguel): 6 Sherry wines and 3 pairing taste. Madrid Highlights: Bus transport and guided tour. The Atletico de Madrid Tour: “Skip the Line” Entrance ticket and Guided Tour.